A history of expertise and quality construction with the City of Tiffin has led to new project construction. Gilbane provided construction management at-risk services for a new justice center that houses two common plea courts, Tiffin-Fostoria Municipal Court and the Clerk of Courts Office. The new courthouse is a four-story, structural steel facility that contains two holding cells on a recessed portion of the main floor, followed by one holding cell on the remaining levels. The new courtroom features wood millwork throughout the space including behind the judges’ bench and on courtroom entrances. Designed to blend with the adjacent court annex building, the justice center features a brick veneer exterior and mansard roof. The new facility was constructed on the site of the former county courthouse, which was built in 1884 and demolished in 2012. On the west side of the building, a Lady Justice statue resembling the statue on the previous courthouse was installed on the new clock tower. Throughout the project, students from Sentinel Career and Technology Center’s building/construction, CAD and electrical trades programs visited the site to gain first-hand knowledge of the construction process. 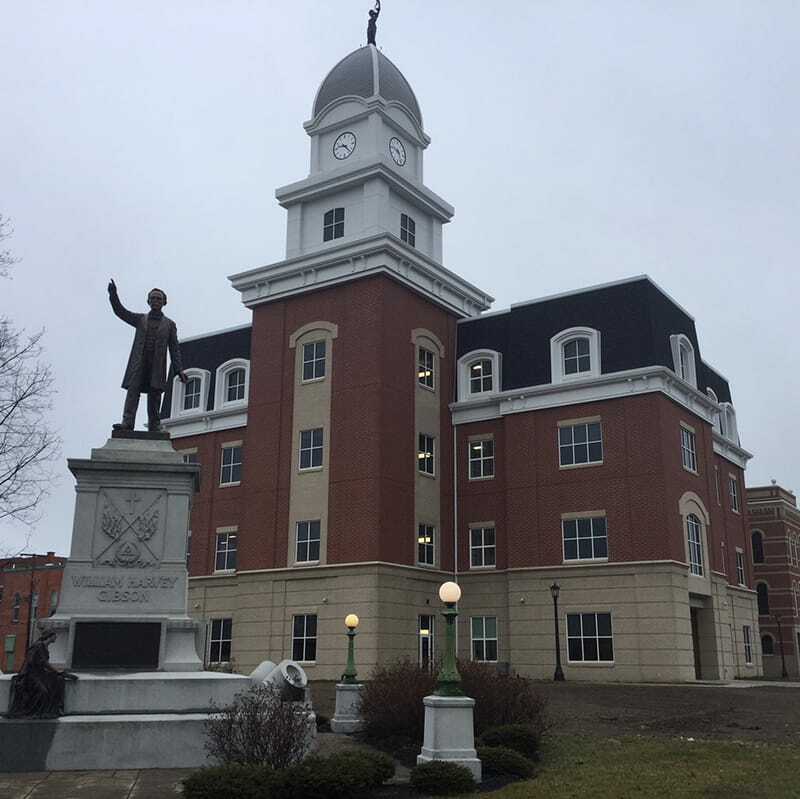 Gilbane worked closely with the Seneca County Board of Commissioners and City of Tiffin to discuss options about the inclusion of certain features such as millwork and ceramic tiling throughout the new justice center. Through this collaboration and the team’s value engineering efforts, the project was completed on time with savings returned to the owner.